Transcontinental Railroad is a Time Management and Casual game for PC published by Anuman in 2015. 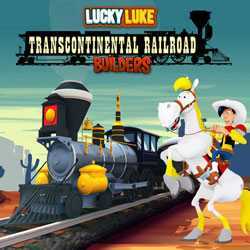 Start your adventures with Lucky Luke! The historic railroad is under construction. It’s your duty to help the workers to build it faster. The robbers and criminals are trying to stop this project.